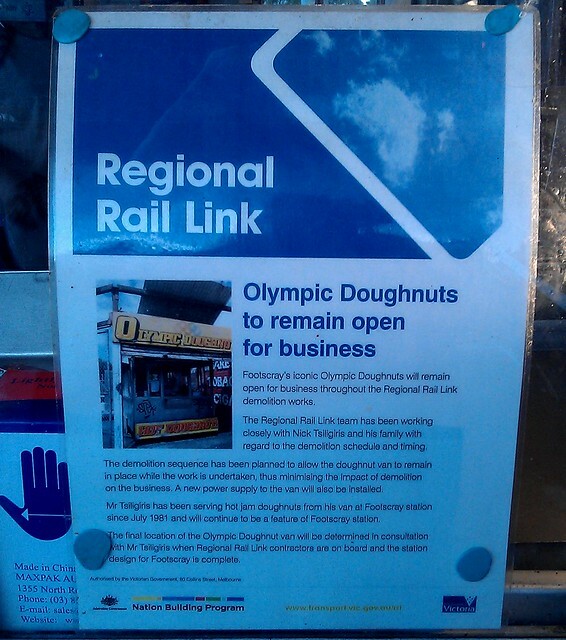 A couple of years ago when they were announcing some of the detail around the Regional Rail Link project upgrades to Footscray station, I jokingly remarked on Twitter that I hoped the doughnut van would survive. I was then assured by someone in the then-minister’s office that it would. However, along with many businesses along Irving Street, the cafe formerly known as Tall Poppies (on Nicholson Street) has not survived. 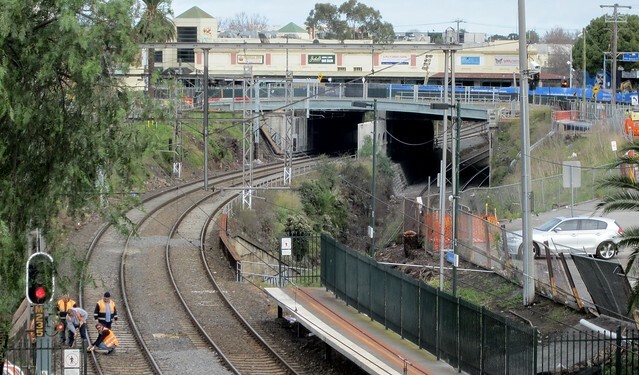 This was a known gunzel hangout, due to its view over the railway lines coming out of Footscray, including the Bunbury Street tunnel. I assume it’s been sacrificed due to the widening of the underpass to fit the extra tracks in. ← Previous Previous post: Thinking about VOIP to replace my land line. Any recommendations? Next → Next post: What’s so special about this block of flats? Talking of doughnuts, I’ve finally been coerced into buying a Myki by the withdrawal of the 5 x daily and while I waited at the counter at Mordialloc station to be served this evening I noticed a poster for what appears to be an official ‘free coffee and doughnuts’ morning. Two in fact, 17th and 24th, courtesy of Metro as a ‘thank you’. The small team at Mordy often put up some free coffee and sometimes a newspaper for the weary traveler and it’s a nice gesture always appreciated. The poster for the upcoming mornings had Metro branding and seemed like something out of the marketing dept. Is this the start of a charm offensive?! What a great story! That’s made my morning. No more Tall Poppies? That’s a shame, I used to love hanging out there whilst in uni, watching the trains go by!